How do you kill a sore throat? Sore throat can be caused by dryness, irritants, viral or bacterial infections. A sore throat may be the first symptom of a cold. It starts with irritation, gets gradually more painful and goes away in just a few days. This type of throat pain can be self-treated. However, a sudden appearance of sore throat accompanied by high fever requires you to seek the help of a doctor. Strep throat, tonsillitis, and other severe infections should be addressed quickly by a professional. Keeping the throat moist will help with pain and allow the throat to heal more quickly. Sipping warm water is a good way to keep the throat moist and comfortable. A mild salt water gargle, of ¼ to ½ teaspoonful of salt in 8 ounces of warm water may also help. Avoid beverages that are too hot or cold, as your throat tries to heal. Also avoid drinks which dry your throat, such as caffeine and alcohol. For sustained relief, lozenges help keep the throat moist by producing constant saliva flow. Many lozenges are formulated with ingredients to soothe a sore throat. Menthol provides a cooling sensation and also helps clear nasal passages, reducing cough and irritation at the back of the throat. Some lozenges have ingredients to treat infections. Antiseptics and antibacterials kill bacteria and fungal infections of the throat. Other lozenges may have anaesthetics or anti-inflammatory medications. A combination of ingredients in various flavours and even sugar free options are available. 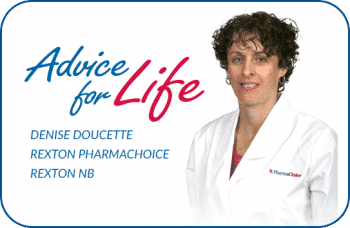 Your pharmacist can assist with a choice tailored to you. For moderate to severe sore throats, include acetaminophen or an anti-inflammatory such as ibuprofen or naproxen to tackle the pain. Anti-inflammatory medications may interact with other medications or worsen some conditions. 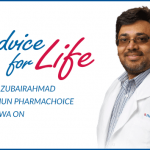 Talk to your doctor or PharmaChoice pharmacist to check if they are safe for your use. Remember: A sore throat should not persist beyond a few days.